Bike Riding through the SLO area is scenic, fun, and a great workout! There are so many trails, roads, and paths that you can follow to your heart’s content. Here’s a couple bike ride itineraries for your next trip to the Central Coast. When you want to get some sightseeing done the next time you’re on the Central Coast, ditch your car and bike there instead! This 13 mile flat ride promises beautiful views. 1. Start at Dinosaur Caves Park and continue South on Highway 1. Stay right as Highway 1 becomes Dolliver Street in Pismo Beach. 2. Stop at the Monarch Butterfly Grove! 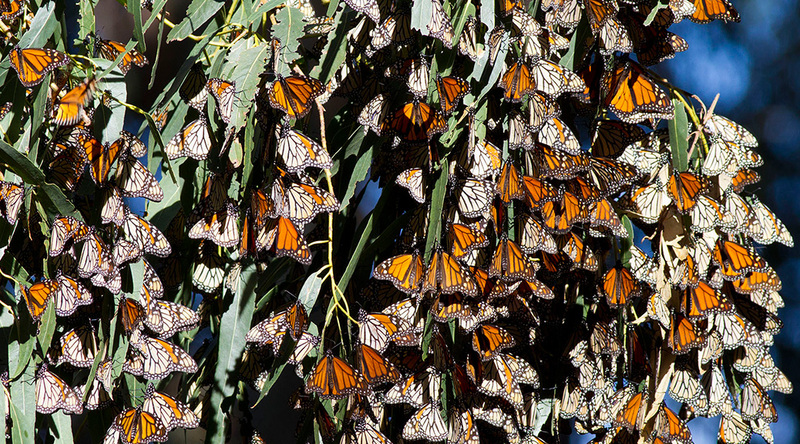 Thousands of monarchs flood the grove from October to February. Stop off for some sightseeing before you’re back on the road. 3. Ride through Oceano to Halcyon Street. Turn left, ride a mile on Halcyon, until you hit Farroll Street. 4. You’re in the heart of the small town of Grover Beach! For lunch, try Garlands Hamburgers on 701 West Grand Ave, or The Rib Line on 228 West Grand Ave, both very close to where you stopped. 5. After you’re full, visit Ron’s, a plant nursery and specialty shop that’s about six blocks from where you parked your bikes, on 850 W Grand Ave. Walk down the main street in Grover and enjoy the beachy small-town vibes. The perfect way to encapsulate the sights and scenery of the coast. You can also try the other direction! 1. 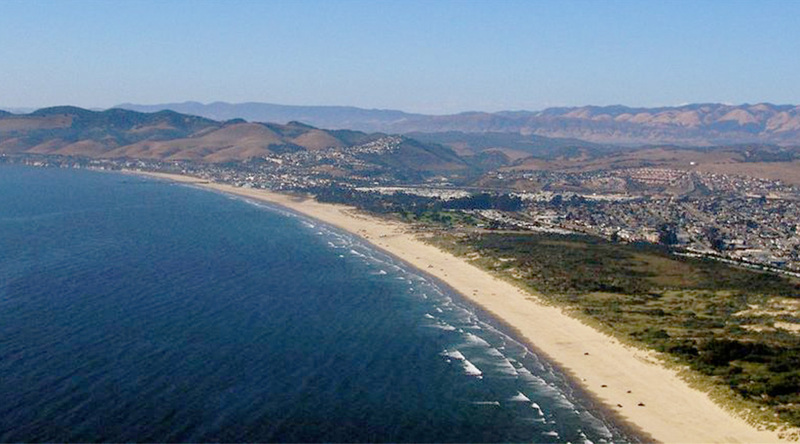 Bike from Pismo Beach to the secluded Avila Beach! Start by turning left onto Price Street, from Dinosaur Caves Park. Continue on Price Street as it becomes Shell Beach Road. 2. Turn left onto Avila Beach Drive (Pacific Coast Hwy 1). 3. Turn right onto Ontario Road. 4. Turn left onto Bob Jones Trail. Pass under the San Luis Bay Drive overpass, continuing on Bob Jones Trail. Stay along Bob Jones Trail until it ends on Blue Heron Drive. 5. Turn Left onto Blue Heron Drive continuing along San Luis Obispo Creek. Continue on Blue Heron Drive until Bob Jones Trail forks off the street on your left. 6. Proceed onto Bob Jones Trail, crossing the bridge over San Luis Obispo Creek. 7. Once over the bridge, immediately turn left into the parking lot and proceed to Avila Beach Drive. 8. Turn right onto Avila Beach Drive. Continue on Avila Beach Drive to Port San Luis. 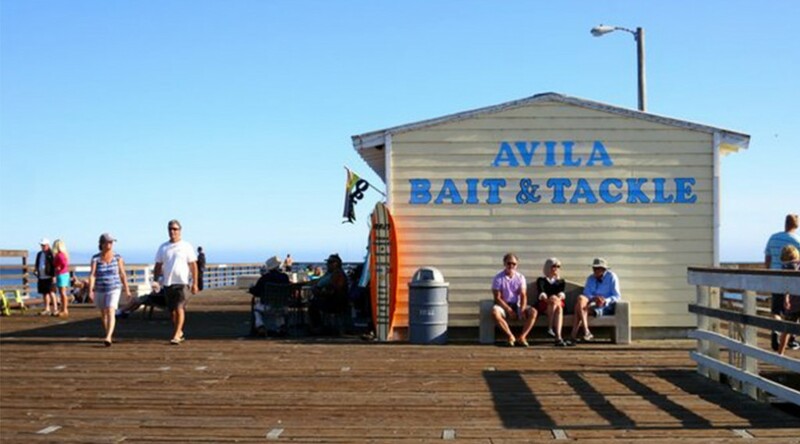 Once you’re in Avila, there’s a multitude of fun things you can do. Relax on the beach, and eat lunch at Custom House or the Olde Port Inn. 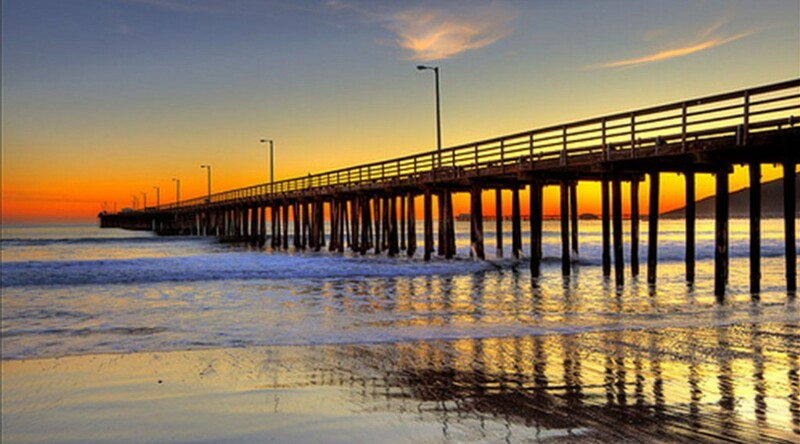 You can take your time, and return back to Pismo on the same route! Always remember to follow traffic laws, wear a helmet, and pay attention to the road. For more information on the Central Coast lifestyle, visit our website! You can also get detailed information about biking in other parts of the Central Coast on our cycling page.